After a successful debut of his new project with Ovnimoon (The Key), Bojan returns to his alter ego Ascent and delivers an impeccable debut EP on his new home label BMSS Records. The EP features a fresh solo track of him plus a first-rate remix of BMSS Records own Sabretooth. 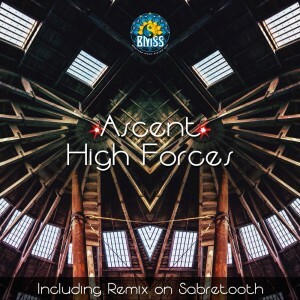 Driven was the highlight on Ben Fraser"s first EP with his new label and this brilliant remix turns out the perfect alliance between Sabretooths Techno Driven Groove and Beats and Ascent`s forceful Goa melodies and elements. An outstanding EP for both nighttime and the Twilight hours. Cash Mattock supports us once again with his brilliant collages and Stryker ensures the dancefloor blast through his powerful mastering technique.